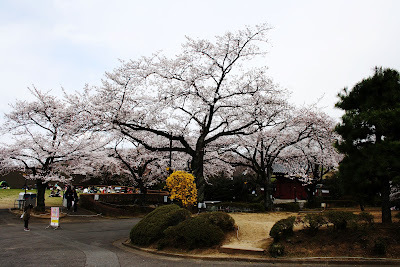 As you might know there was the 桜　sakura season about two weeks ago in the area of Tokyo and it was the first time ever in my life being in Japan for the cherryblossom season. Since I was a kid I *always* wanted to be in Japan when the cherryblossoms bloom so it was a huge dream coming true for me these days. I was so excited when the first cherryblossoms started to develop and extremely impatient! Unfortunately it took another 3 weeks until the flowers were in full bloom. But, what can I say... it was amazing. Beautiful. Stunning. The whole atmosphere changed for these two weeks. 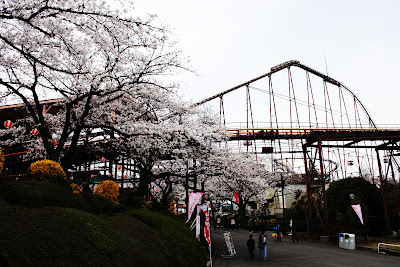 I visited *the* hotspot Ueno-Park in Tokyo, a smaller park in our neighborhood Hon-atsugi and the Yomiuriland near Shinyurigaoka where there was a special Sakura event right in the middle of an amusement park. 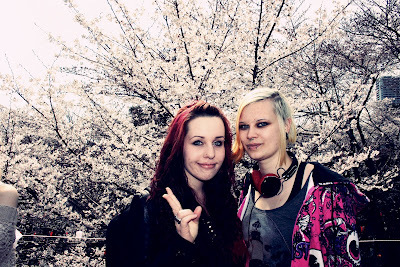 We did traditional 花見　hanami, which literally means 'watching the flowers'. 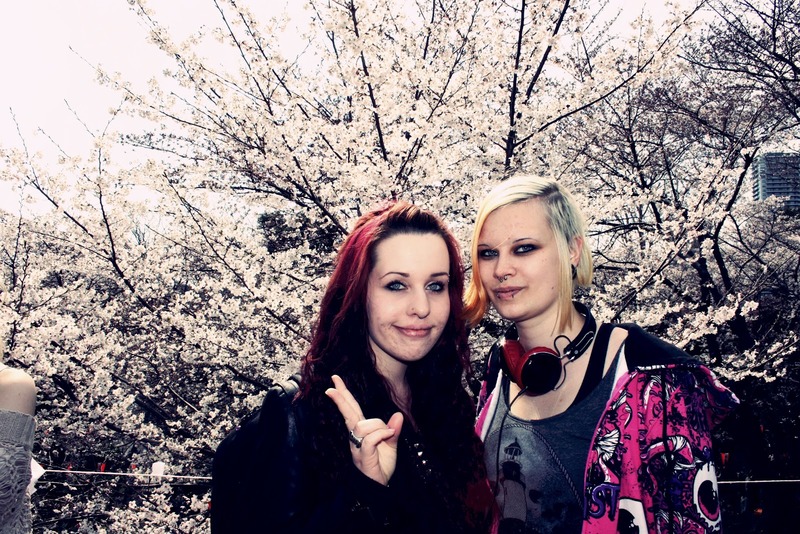 This time, hanami is mostly a picnic right under the cherry trees and all Japanese are drunk at noon. :D (Which is a nice change for the usual seriousness they are living most of the time ^^) We did several hanami in April but the best was the first one when we went to Ueno-Park. Judge for yourself! The main road at Ueno. 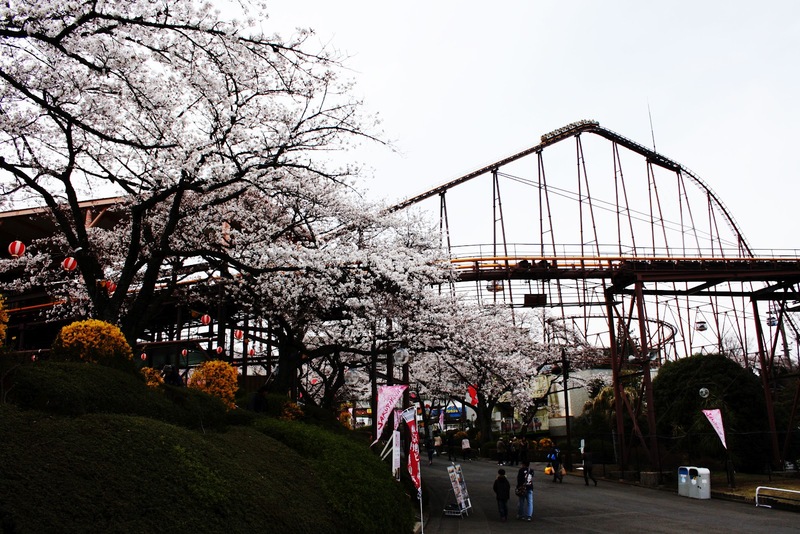 We sat on the right side under the cherry trees. Snacks we prepared the day before: pancakes, sugared strawberries, chocolate sirup! Summer is around the corner, so sun is there 'til 18h mostly. Love the idea of the lanterns lighting up the cherryblossoms! Yomiuriland is an amusement park in our neighborhood, about 1 hour away by train from where I live. I find it incredibly expensive when you compare it to the entrance fee of Disneyland (3900 Yomiuriland, 5000 - 6200 Disneyland). It was very cold and windy that day so I didn't enjoy it that much. We only paid 1000 Yen though, a special entrance fee for the Sakura event. 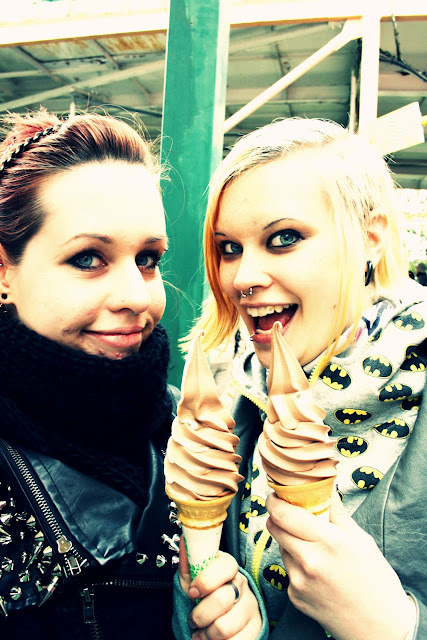 You had to pay for all the rides but we only rode two big rollercoasters and just wandered around. My camera's battery died soon so I only took these 3 pictures, lol. ^^"
..hope you enjoyed this selection of more than 200 pictures I took in about 2 weeks! I found it kinda hard to get good pictures of the flowers and the atmosphere. They were extremely white which is really hard to catch on film. Hope you liked them nonetheless! 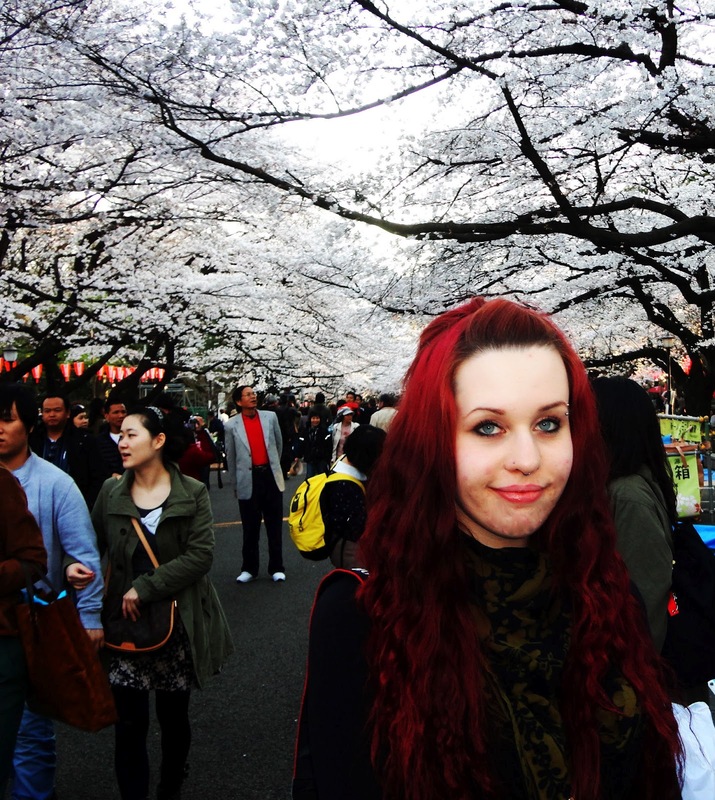 This was definitely one of the best experiences I made in Japan so far, I will never ever forget, I swear! I'm off until Monday, going to Odaiba + Zepp Tokyo to see MERRY on their final gig in Tokyo!